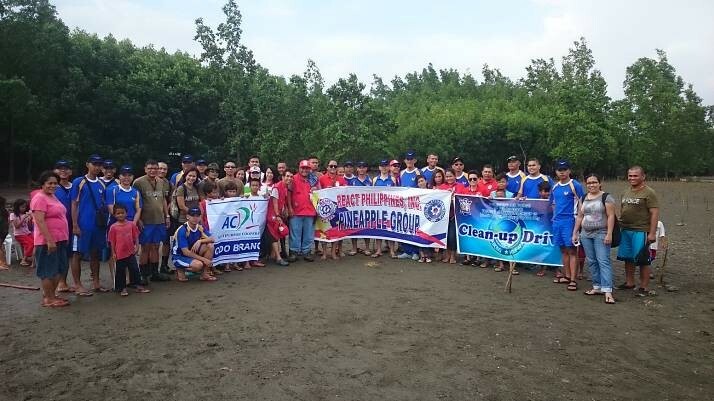 In accordance with the AFP’s Internal Peace and Security Plan (IPSP) “Bayanihan” which endeavors to engage all sectors in addressing environmental issues, the Tactical Operations Group 10 of the Philippine Air Force headed by LTC Leo Fontanilla PAF (GSC) successfully conducted a coastal clean-up drive at the Mangrove shorelines of Barangay Cugman last Saturday, January 24, with the help of more than 50 participants from various groups in Cagayan de Oro including Primavera Residences. “Through these kind of activities, AFP is committed to combat and mitigate the effect of global climate change. 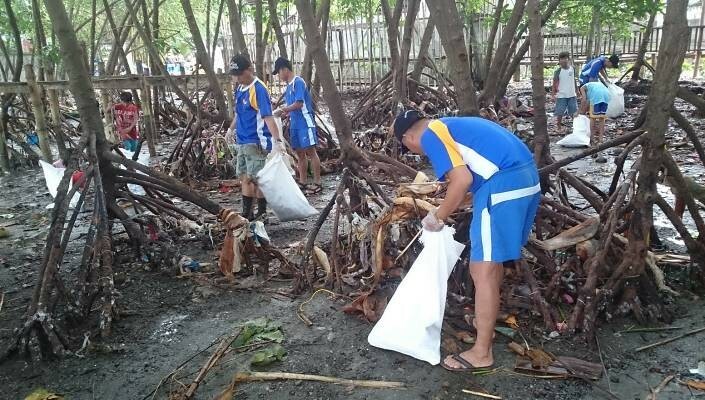 These simple acts of community service can very well serve the residents of this city,” Fontanilla expressed. To support the green building’s advocacy to a clean and green environment, Primavera staff took the opportunity to continue serving the community as they clean the coastal area in Cugman to help protect, preserve, and sustain the environment through participating in the local policy development and promotion, and supporting environmental campaigns. “The coastal clean-up made me realize that it does not limit its goal in cleaning the environment but also creating awareness to the society that waste/garbage should be thrown properly. Especially the mangroves being planted in the coastline are needed to be preserved and protected since these are very important to also protect the residents in the area,” Rhapsody Binasbas, Financial Accountant, said. In an article about mangroves, it is said that Mangrove forests are among the most productive ecosystems and are especially helpful in coastal areas such as Cagayan de Oro City. Aside from providing goods worldwide that account to approximately US$186 million each year, mangroves also serve as protection and shelter against extreme weather conditions – something Kagay-anons are unfortunately quite familiar with. 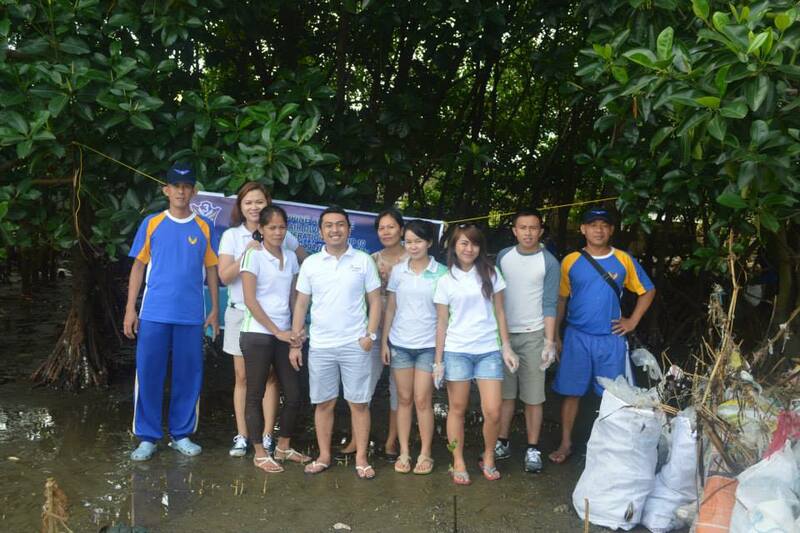 “It was not my first time to participate in a clean-up drive yet it’s still a fulfilling experience. Most of the wastes are obviously from the coastal residents which saddens me. We don’t have a perfect society but through continuous learning and proper education, I know we can achieve our environmental goals,” Sayzon Verallo, Documentation and Compliance Officer, said. Primavera Residences’ developer, Italpinas Euroasian Design and Eco-development Corporation (ITPI), won numerous local and international awards for its contemporary design with natural airflow through inner spaces, and architectural elements designed precisely for the location’s latitude to shade the building’s surface from the sun throughout the year. The project has been cited as one of Asia’s top 10 clean energy projects because of its capacity to help residents save as much as 32% on air-conditioning energy consumption. “I am pleased to know that there are agencies committed in serving the larger community. TOG-10, 3rd Air Division, Philippine Air Force will continue to work with the government and private companies in protecting our precious environment in the region. Also seeing the residents help out give me enough hope that this city will soon progress,” Fontanilla concluded. The multi-awarded building is located in a master planned community in uptown Cagayan de Oro, was built in 2009 and has been effectively on the lead in promoting green advocacies in Cagayan de Oro. Do you want to know more about our advocacies? Call (088) 880-5002 and 0917 794 2221 or visit our website here.